Thanks to our 500+ active residents, neighbors and outreach volunteers and supporters. 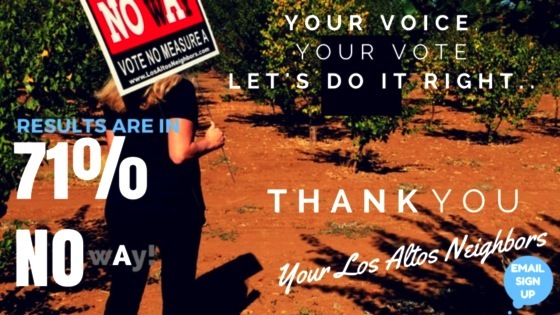 And thousands more No on A voters---Get out the vote. Click on image to see the Supporters page and find your street. 1. Too Big: facilities out of scale with community needs and scoped for rentals. 2. Too Expensive: $160 MILLION for community center construction, with no operating costs or clear understanding of budget. 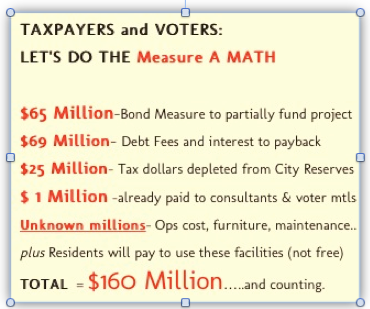 Bond Measure raises property taxes for 30 years to partially fund project. 3. 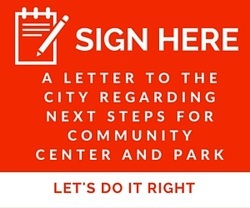 No Plan: concept only and not tied to any other facilities on the Civic site or citywide use. 4. 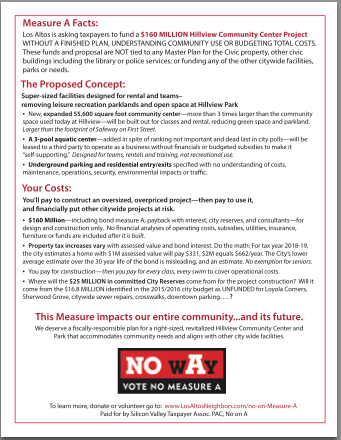 Wrong Priorities: NO plans for Parks and Open Space; addition of multiple pools and a swim facility for teams and training, and underground parking. 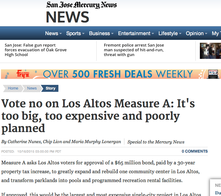 - Neighbors Speak Up – Trending Viewpoints on the LosAltosNeighbors.com website. 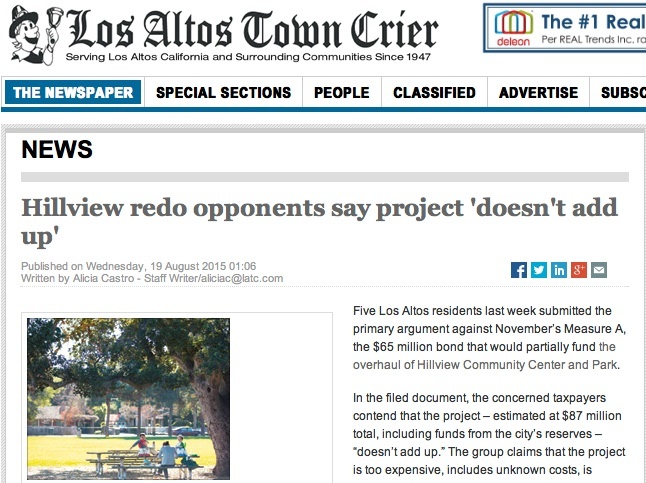 - 09.09 Town Crier - Letter to the Editor - Civic Center Project Needs a New EIR.